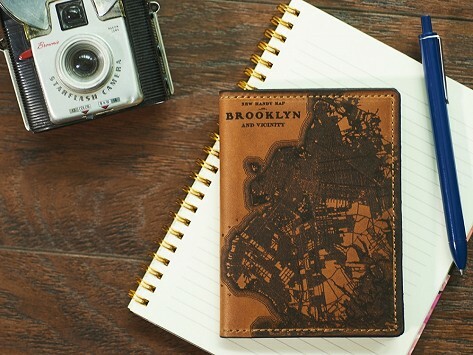 Whether you're traveling a few miles away or across the globe, this Made in the USA etched leather passport wallet will always remind you of a city you hold dear. 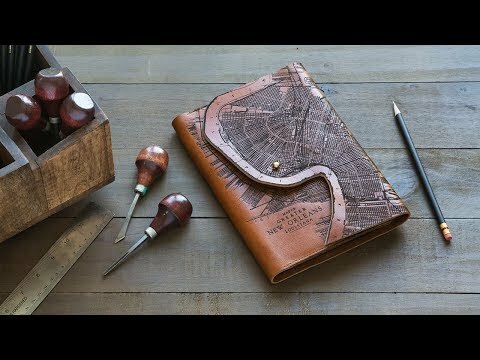 The supple leather hides are sourced from a local Milwaukee tannery, then hand cut and laser engraved with antique, early 20th-century maps of American towns and international destinations. Now you can carry your travel documents in something beautiful that’s Made for a Lifetime. I purchased this for a gift and it is beautifully made. I can’t wait to see her reaction! I bought one for my son for Christmas. When it arrived and I saw the quality and unique design, I bought 3 more for my son-in-law and 2 brothers-in-law.